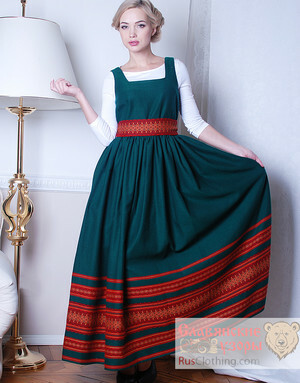 Russian dress has its origin in the traditional folk sarafan. 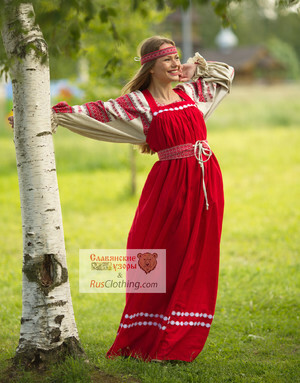 Linen dresses in our collection have kept features of the traditional Russian costume. Floral embroidery, typical patterns are widely used today. Russian history and culture inspire designers to create fashionable collections by adding look and feel of Russian traditional clothing. Russian casual style is mostly presented in Russian linen dresses. Russian linen is lightweight, low maintenance, breathable and cheap. Thanks to these characteristics our linen dresses will make your summer great and fresh. A new look of Russian fashion.